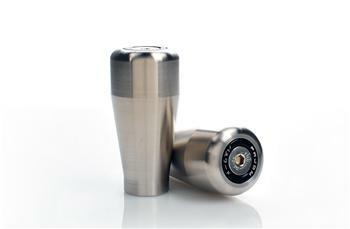 The Password:JDM Stainless Steel Shift Knob acts as a counterweight during shifting, reducing the likelihood of a miss shift. Weighing in at a Hefty 488 grams, the Password:JDM SS Shift knob will give you the ultimate shift feel and style you’ve been looking for. Besides the functionality of this design, there is also a feature that’s an industry first. You have the option to purchase a colored washer set that you can use to match the look of your vehicle. By switching out the colored washer, you can truly get unique look. Threaded to a metric 10×1.5, this shift knob will fit many other vehicles besides Hondas. - Weighs in at 488 grams – Ergonomically designed for the perfect driving feel. - PWJDM designed, engineered, and manufactured in-house. - Machined from a solid piece of Stainless Steel 303, Made in the USA. - Metric 10×1.5 pitch, will fit Hondas and other vehicles with the same thread size.